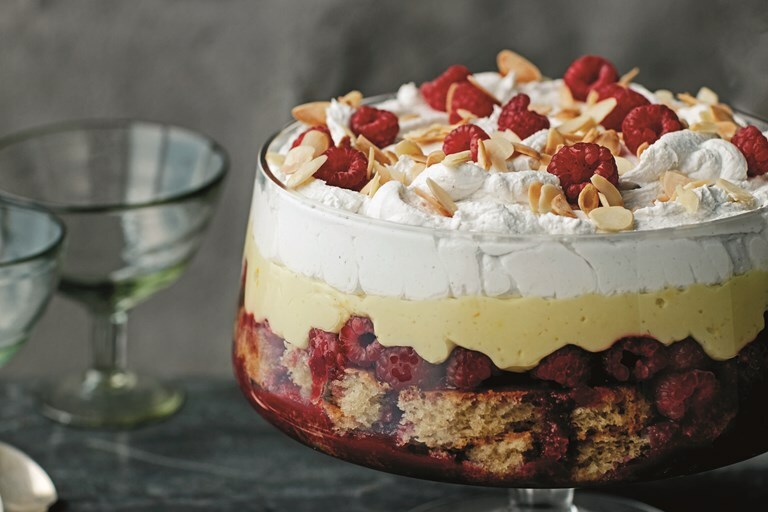 This glorious vegan trifle recipe is perhaps the ultimate comfort food dessert. Beautifully rich coconut cream, custard and a raspberry compote add bags of flavour, with a decent boozy hit provided by Pedro Ximénez sherry. This recipe is taken from Mildreds Vegan Cookbook, published by Mitchell Beazley. Images by Matt Russell.